Young Engineers enrichment programs combine education + entertainment = edutainment. We created a variety of different programs that can be used to teach science, technology, engineering, math (STEM). Children joining our educational community can learn and enjoy arithmetic, physics, mechanical and software engineering, coding, and robotics. We have developed special programs and workshops suited for children at both ends of the learning spectrum, from gifted children to those with learning disabilities. We operate in schools, libraries, museums, community centers, to name a few. Statistical tests show a clear connection between participation in our e² Young Engineers programs and success at school and 21st century development of an arc of skills. In 2011, CEO Amir was awarded by Prince Charles with the Youth Business International Entrepreneur of The Year honor, highlighting the impact e² Young Engineers has made on individual students and their communities. In an effort to provide children across the world the opportunity to benefit from the e² Young Engineers program, the company began franchising the business in 2012. e² Young Engineers has spread to 45 different countries throughout the globe. In 2017, Young Engineers was involved in breaking the Guinness World Records for the tallest tower made from building bricks reaching 36 meters (118 foot). 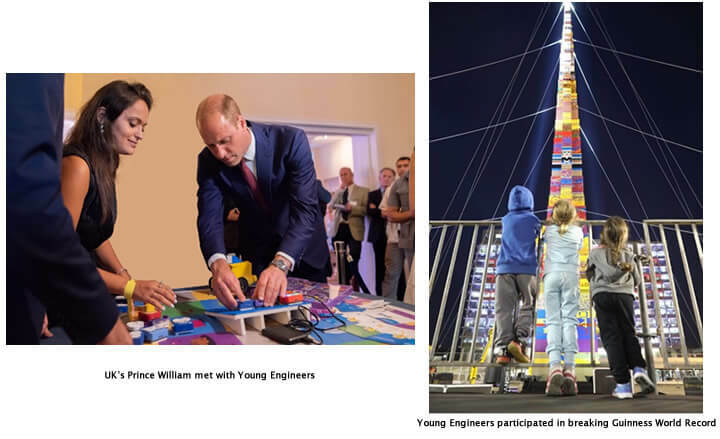 In 2018, Prince William met with our CEO to learn more about Young Engineers and our newest development, Algobrix. Today, e² Young Engineers is dedicated to sharing its unique method of edutainment across the globe. e² Young Engineers can offer you a model that can suit your capabilities and skills such as a local or master franchise. Build. Code. Play. 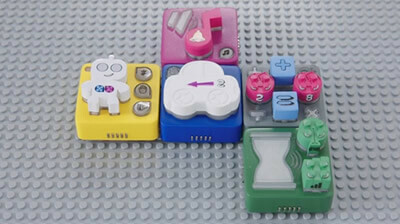 Algobrix is an innovative new way kids and even grownups can learn the basics of coding. The best part… you don’t need a computer. This is a market changing product is the coolest way to code. 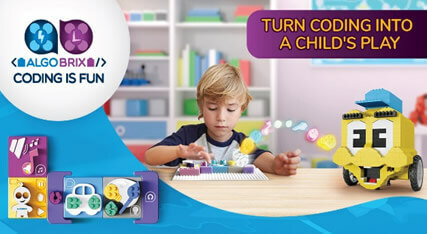 Algobrix is the only building blocks that transform coding into playing while teaching your kid to think like a programmer. Choose from 5 different starter packages to better suit your budget. Packages start from $19,500 up to $55,500. Packages include franchise fee and equipment costs. You can now start your dream business and not break the bank! Special for Franchise Gator-10% off the franchise fee. Find out more! 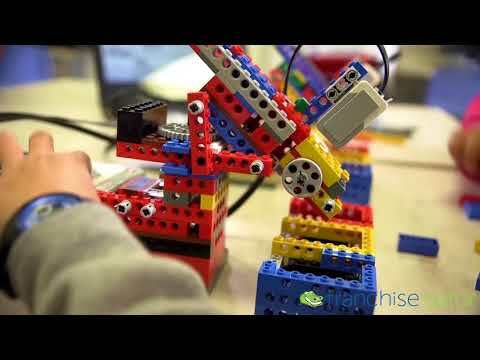 This business provides education and tutoring services to children and families, utilizing proprietary curriculum focused around using LEGO® and K'nex® bricks, while instilling specific 21st century skills. Our field tested and proven programs demonstrate scientific principles in a fun and accessible fashion, combining experiments that form engineering intuition with stories that capture the children's imagination. Program delivery methods include cooperation with local community centers, schools, playgroups, various religious institutions, libraries, science museums, and any other center where children activities may occur. Diversify your revenue by hosting birthday parties, workshops, summer camps, parent- student day, elderly and corporate workshops, special events and more. The franchisee will be operating an exclusive territory and will be provided the full support of e² Young Engineers management team and global network of support staff. e² Young Engineers FRANCHISE OWNERSHIP GIVES YOU THE ADVANTAGE! e² Young Engineers has developed a simple and straight-forward approach to an education business that is easy to learn. Our franchisees leave training with the tools, knowledge and confidence needed to start and grow a successful children's education business. Our business development team consists of a marketing specialist, operational specialist, and a financial analyst. This experienced team will guide you every step of the way for as long as you are a franchisee. e² Young Engineers is currently accepting inquiries from the following states: Alabama, Alaska, Arizona, Arkansas, California, Colorado, Connecticut, Delaware, Florida, Georgia, Hawaii, Idaho, Illinois, Indiana, Iowa, Kansas, Kentucky, Louisiana, Maine, Maryland, Massachusetts, Michigan, Minnesota, Mississippi, Missouri, Montana, Nebraska, Nevada, New Hampshire, New Jersey, New Mexico, New York, North Carolina, North Dakota, Ohio, Oklahoma, Oregon, Pennsylvania, Rhode Island, South Carolina, South Dakota, Tennessee, Texas, Utah, Vermont, Virginia, Washington, Washington, D.C., West Virginia, Wisconsin, Wyoming. e² Young Engineers is also currently accepting inquiries from Canada.